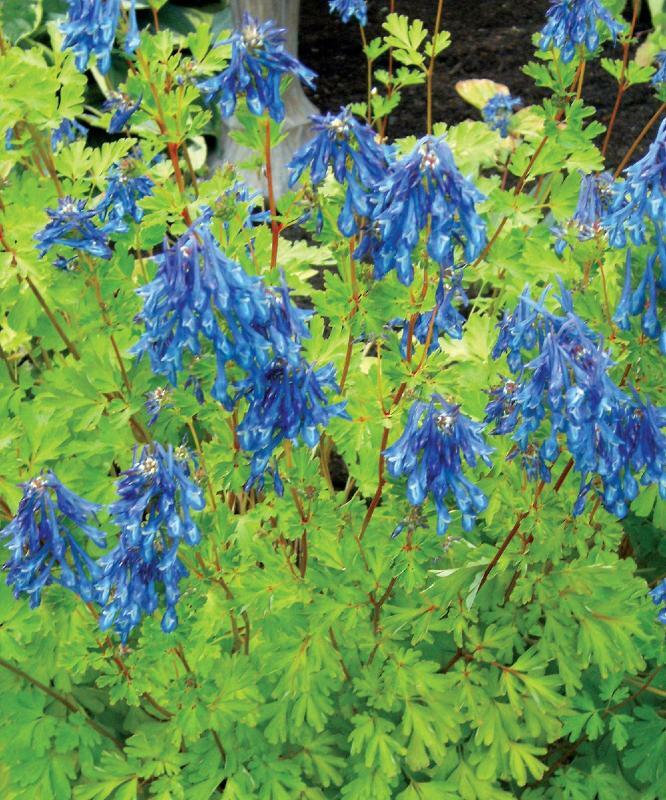 Corydalis elata is considered to be the best of the true blue Corydalis. 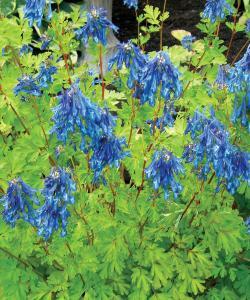 The plant forms an elegant clump of lacy, yellow-green leaves, and bears upright stems of dangling tubular bright blue flowers. On warm summer days the plant produces a fragrance similar to that of Gardenias. Flowers from spring into summer. Likes dappled sunlight in a rich woodland soil that remains moist, dislikes summer drought. Evergreen. Hardy. Height 0.45cm.